Top 5 Best Green Tea Brands of 2019: Do NOT Buy Before Reading This! All teas made from the Camellia sinensis plant have health benefits. However, many studies have shown that green tea is superior. But why would teas produced from the same plant have different qualities? The answer lies in the processing methods. Black, brown, and other teas are produced by first fermenting the green leaves so that the resultant product is no longer green. By contrast, processing of green tea begins by steaming the leaves first to prevent fermentation. 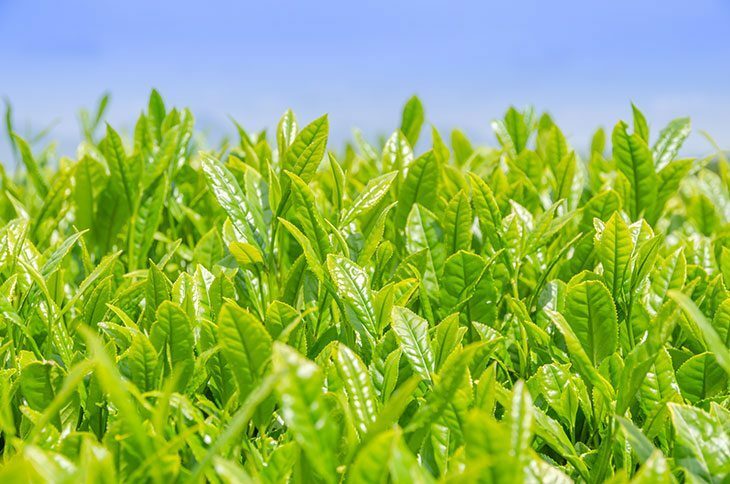 The stabilized green leaves are then dried and further processed into a green tea, which is richer in polyphenols than other teas and therefore has more health benefits. On the other hand, fermenting tea leaves change the quantities and properties of the polyphenols, which reduces their potency. READ MORE: Which Is the Best Coconut Oil Capsules for Weight Loss? The antioxidant, EGCG is associated with reduced risk of stroke, heart disease, high cholesterol, glaucoma, obesity and other conditions. Some studies have also found that the EGCG, which is abundant in green tea, helps to improve performance in physical exercise. But you probably won’t get adequate antioxidants when you drink a cup of every green tea. Why? Because, according to tests conducted by Consumer Lab on tens of green tea brands, levels of EGCG range from 4mg - 47 mg per cup of bottled green tea and between 25 mg and 86 mg in a serving of tea brewed from dry, packed green tea. It, therefore, makes sense that you should learn how to choose the best green tea brand to buy or drink. And remember, you cannot tell the difference by looking at the tea package or by its popularity. Rather, it takes careful expert studies of different green tea brands. 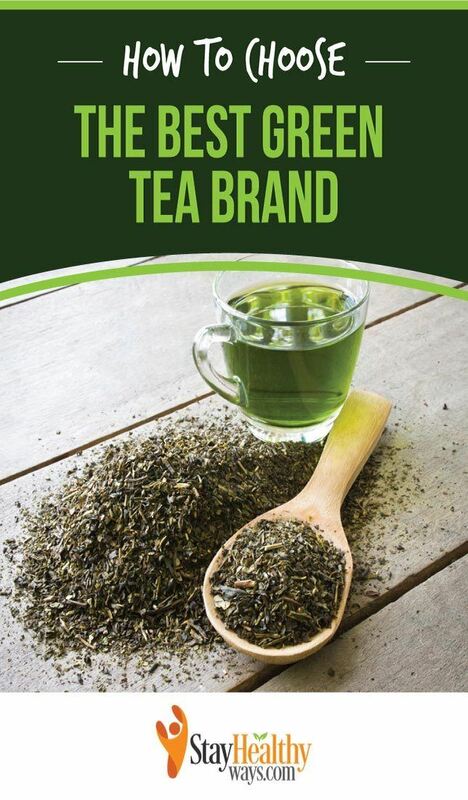 For this reason, we have gone out on your behalf, looking for the best green tea brand so that you can be confident that the product you buy contains the ingredients that you are looking and is the best brand of green tea. Some animal studies have found that green tea has a positive effect on Alzheimer's disease and dementia. Antioxidants in green tea protect against the death of nerve cells, thereby slowing the deterioration of brain cells. A 2014 study found that using green tea as mouthwash is as effective as the more traditional antibacterial mouthwash ingredients like chlorhexidine. This suggests that drinking green tea benefits your oral health. Some studies have shown that drinking 3 cups of tea daily, decreases your risk of depression by 37 percent. The same amount of tea taken daily reduces your risk of stroke by 21 percent, the risk of coronary heart disease by as much as 27 percent , the risk of cerebral infarction by about 16 percent , and the risk of intracerebral hemorrhage by 21 percent. A 2014 study of several published research findings involving studies of 545,000 subjects indicates that drinking an extra two cups of tea daily reduces your risk of developing type 2 diabetes. It also lowers the risk of prostate cancer. Lowers the risk of developing various cancers, including ovarian, prostate, colon, breast and lung cancers. Green tea is also key to maintaining a flat stomach and managing metabolism. There are many ways of making a cup of green tea. Here is one. Heat water in an electric kettle or on a stove. When the water is about to boil, switch off the power, or turn off the heat. Place a teabag or a teaspoonful of tea in a cup. Pour the hot water into the cup and let it stand for two to three minutes, or even longer if you want stronger green tea. Remove the teabag, or strain the tea if you are using loose tea. Drink when the tea reaches a temperature you are comfortable with. Here is a video showing you another way to make a refreshing cup of green tea using the best green tea brand. Try it out and enjoy! Also, you can refer to two great recipes for green tea before sleep in this article. Similar to other teas, green tea contains some caffeine. Bear in mind that excessive consumption of caffeine has health risks like sleeplessness, stomach upsets, anxiety, nervousness, palpitations, diarrhea, and iron deficiency anemia, so it is recommended that you consume tea in moderation. Some people may also have allergic reactions to tea. If you get a rash, tightness in the chest, hives or similar symptoms after drinking green tea, discontinue and consult a doctor immediately. With all these benefits, it makes sense that you should make tea a favorite daily beverage. However, not all teas are the same. As you have seen above, green tea has more beneficial properties than black or other types of tea. Still, all green teas are not equal. Where the tea is grown, the timing and stage of harvesting, the processing method, and even the way the finished product is stored, all play a part in the potency of the green tea that you drink. This begs the question: which is the best green tea brand, and why?! We appreciate how important it is to find pointers about products that will benefit you. Furthermore, it makes, even more, sense when the information you need concerns your health. In the case of green tea, we went out shopping and did some research to find the best green tea brand to recommend to you. We did this by looking at the top brands based on consumption, rating and, price. This is the basis by which we selected the following best five green tea brands. For you to gain the maximum benefit of consuming green tea, you need to go for the best brands. 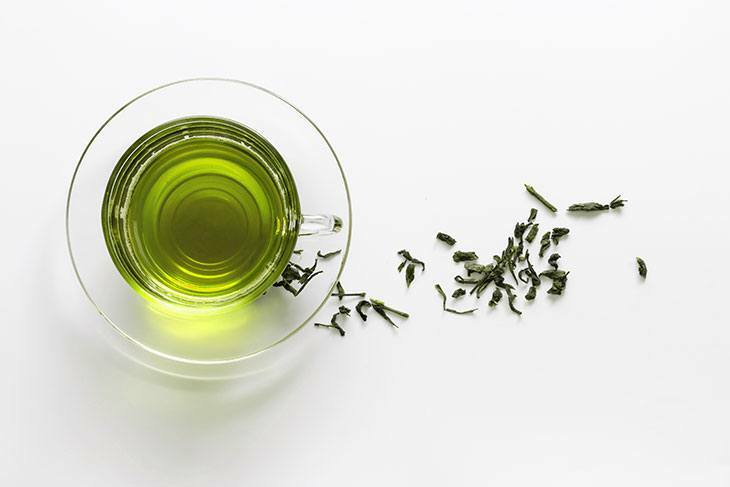 Our research has helped us to compile the following list of 5 of the best green tea brands. To come up with the list, we have applied various approaches which include the way the tea is grown, where it is grown, the stage at which the leaves are picked, the way the tea is processed, and how it is packed. Our studies have led us to choose Yogi as the best green tea brand. It has an impeccable history dating back more than four decades. The green tea brand, Yogi Blueberry Slim Life, is a blend of organic green tea, together with Garcinia cambogia fruit extract, eleuthero, and ginseng extracts. This combination invigorates your body's metabolism so that you can lead an active lifestyle even if you are on a weight loss diet. Yogi brand green tea comes in many flavors including organic hibiscus. The tea blends are prepared using Ayurvedic health practices. Stash Premium Green Tea is packed to maintain freshness for a long time. By wrapping the individual teabags in protective foil, you are sure to enjoy the same fresh, sweet and nutty flavor from your hundredth cup as you did in your first. Stash green tea is processed using age-old Japanese methods, which mean that the tea retains its excellent flavor, color, and fragrance. 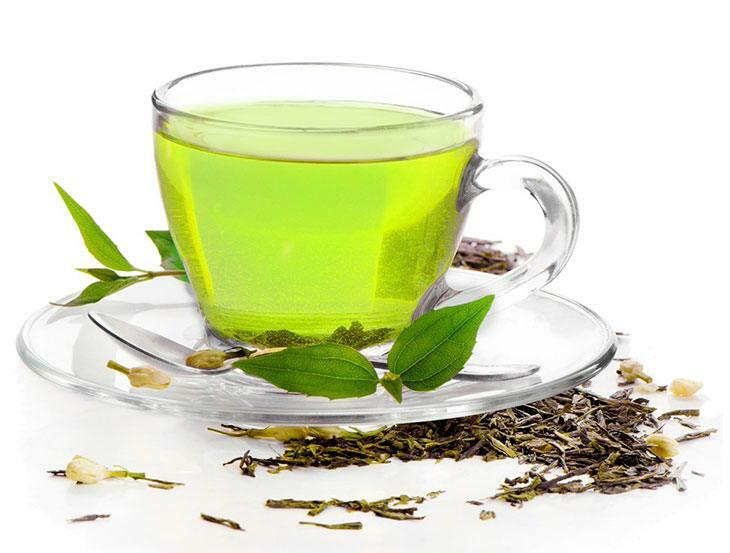 The resultant green tea brews into a traditional golden-green beverage. This is a choice green tea beverage if you enjoy traditional tea. And because this tea comes in a minimalist package that is also strong, you can buy in bulk and store for later use. This way, you will have a constant supply of your favorite green tea. If you want a strong oxidant green tea from a best green tea brand, Kenko Matcha Green Tea may be your best choice. The antioxidant-packed tea relaxes your body and mind and makes both more efficient. Besides, Kenko green tea is so versatile that you can use it in cakes, ice cream, smoothies, and protein shakes among other foods. Also, there is no risk in trying it out because Kenko offers a 60-day money back guarantee. The only downside is that Kenko Matcha green tea is a premium product that comes with a premium price. If you want more information about matcha, this article will suggest you many valuable options. High in chlorophyll, amino acids, EGCGs fiber, and vitamins A, K, and E.
The delicate taste of Lipton green tea is a result of several factors in its growth and processing. While the company also uses select teas from other growers, it cultivates the bulk of its tea in farms in some of the best places for growing tea: Kenya, India, and Tanzania. It’s probably true that Lipton would make it into any list as a best green tea brand in the world. The manufacturer employs tea experts to help in the blending of selected produce to make high-quality tea products. Additionally, Lipton's tea supports environmental protection and is Rainforest Alliance certified. Lipton Pure Green Tea is high in flavonoids at 165 mg per 8 fluid ounces. Also, you will not have to worry about pesticides and other chemicals in your Lipton tea, and it contains no preservatives, coloring or chlorine. This is especially important when you bear in mind that studies have shown that chemicals using in food farming can harm humans. Do you prefer to brew your tea in the Keurig system? Then Twinnings could be the brand you prefer. One of its products, Twinnings Organic Green Tea, follows the Twinnings tradition. It is prepared from some of the best organic teas in the world to provide you with a unique, smooth flavor that is fresh and enticing. But I didn’t expect anything less from a company that has been in the tea business for over 300 years. Twinnings green tea is perfect in the morning, midday or late at night. Is it surprising that Twinnings’ green tea comes with a premium price tag? I think not, and it is a good idea to have some with you whenever possible. Having reviewed the list of 5 leading green tea brands, we feel that Yogi is the best green tea brand because it provides your body with the health benefits of green tea plus all those of the additional ingredients. And although our focus has been on green tea, having synergistic contents makes Yogi a more potent and more beneficial green tea product. From our earlier discussion, it is clear that tea, and especially green tea, has many health properties. But for you to benefit from these properties, you need to drink green tea regularly. How regularly? At least two cups daily, because this is the amount that reduces your risk of diabetes, prostate and other cancers as well as depression, and various cardiovascular problems. We hope that this review of the best green tea brand will help you understand why drinking tea is good for you. If you are happy with this review or you would like us to review something else, tell us in the comments. You may also want to know about the detoxifying function of teas as well as the best teatox options, read this article for more information. Also, you may be surprised about the excellent effect of tea tree oil for hair, this article will give you more information. Which Is The Best Fruit Infuser Water﻿ ﻿Bottle in 2017? Do You Want the Best ﻿Berberine﻿ Supplements for Weight Loss? Thankyou for the information on the best green teas. Very helpful. I really like this website. Thank you for the encouragement, Tawanda! We always try to bring valuable articles. Hope you will continue to support StayHealthyWays in the future! I previously did not drink green tea, thinking that the most delicious tea is black. But recently green tea has become the main. Also, I drink clean water.